One of the biggest stories in biomedical research during the last decade has been the discovery that certain molecules can mimic the effect of what's called caloric restriction, the reduced consumption of calories, either by starvation or by deliberation. Caloric restriction in turn has been linked quite reliably to a slowdown in aging and a general improvement in metabolism in lower animals like, yeast, fruit flies and certain worms. What was particularly alluring was that these effects seemed to be mediated by a single family of genes through proteins called sirtuins. The implication was clear; not only did we have a handle on a significant component of the genetic basis of aging but we could also potentially mimic the effects of anti-aging genes by drugs that targeted sirtuins. But what really catapulted the story to public attention was the finding that resveratrol, a molecule found in red wine, might do this. The presence of a (relatively) cheap edible substance, universally consumed, savored and culturally revered that might slow down aging naturally led to unprecedented public attention. The French and Italians might say "I told you so", but suddenly the holy grail of medical science seemed to be within reach. 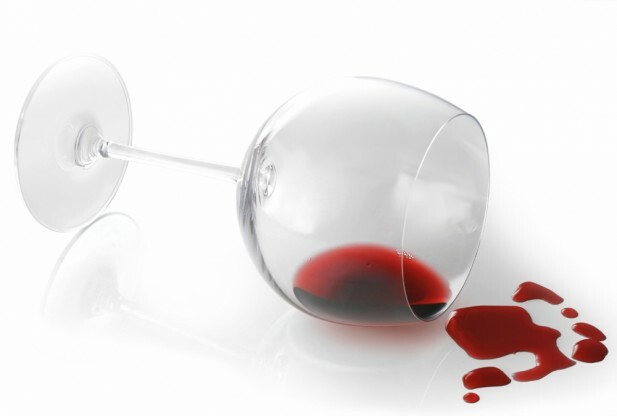 As usual though, the initial euphoria gradually gave way to a more cautious and tempered belief in the benefits of red wine in mitigating the ill effects of age, and indeed in the whole field of caloric restriction itself. The complete story is fascinating and too convoluted to recount here, but the simple fact of the matter is that the biology of aging is much more complex than we imagined and the initial breakthroughs have not been as unambiguous as they seemed. Not surprisingly, ascribing something as complex as aging and its attendant physiological changes to the action of a single family of genes and proteins has turned out to be simplistic at best (as a comparison, even obesity is thought to be caused by dozens of genes with overlapping effects). In addition, anti-aging effects that got the attention of the New York Times turned out to be significant only in "lower" animals and not in mammals. As it stands today, while research on caloric restriction undoubtedly has great potential, many complications need to be ironed out before the initial optimism can be justified. Curiously, much of the high-profile work in the area can be traced in various forms to a single laboratory at MIT. A recent article in Science does a great job detailing the personalities, the findings and the controversies that sprang from this and other laboratories' work; the entire saga seems fit for a Sinclair Lewis novel. But whatever the scientific status of the field, its high-profile nature and its potentially revolutionary implications promised ample funding for interested researchers, and over the years it has attracted both highly visible as well as lesser known scientists. One of the individuals who waded into resveratrol territory was Dipak Das of the University of Connecticut Medical School. Over the last few years Das published several papers detailing the beneficial effects of resveratrol in possibly preventing or mitigating oxidative damage caused in cardiovascular and neurological diseases. While most of his research has been published in low-impact journals, it seems that Das was on his way to a lucrative research career involving resveratrol and its role in health and disease. Until now. It seems that somewhere along the road, he started committing fraud on a massive scale, the likes of which haven't been seen in some time in biomedical research. It started when an anonymous tipster tipped off the university about fabrication in some of Das's papers. The university then launched its own probe and formed a review committee. For the past two years the committee has been working in the shadows with the Office of Research Integrity (ORI) and last week they released their findings in a 50-page document. The findings indicate wholesale fraud, manipulation of results and deliberate doctoring of critical data on a shockingly regular basis between at least 2002 to 2009. Much of the fabrication centers around Western blots, a research tool that's universally used in all aspects of biological research. The Western blot is to biology what spectroscopy is to chemistry and physics. It essentially detects the presence and identity of specific biomolecules, especially proteins. The proteins appear as dark bands on a white background with different lanes representing different proteins. Western blots are absolutely indispensable in confirming the identity of a novel or unknown protein, and I think it's safe to say that most biomedical researchers who have won Nobel Prizes have used these tools in their research. In case of Das, the report has found dozens of Western blots to be grossly manipulated using image manipulation software. There are two aspects of the report that bear closer scrutiny. One is the sheer number of Western blots found to have been doctored. The committee examined 26 papers and cited no less than 88 figures which appear to be manipulated (there were also several that appeared normal). This is a staggering amount of manipulation and rules out accidental oversight. Das would have to be involved in a conscious, deliberate and extended effort to tamper with so much data. It's quite clear that the magnitude of the manipulation alone points strongly to purposeful fraud. The second aspect of the report concerns the great difficulty of detecting the fraud. Western blots seem to be notoriously amenable to manipulation; for instance they prominently featured in another recent high-profile case of fraud in India involving a researcher at the National Center for Cell Science (NCCS). In the report on Das's work, single bands of proteins in Western blots have been enlarged and their borders further magnified to show the contrast between the background for that particular band and for others, indicating that the band in question was copied and pasted. Image manipulation software can sometimes produce such artifacts and some of the data appears like it could also have been the result of negligence or sloppy editing, but the number of such instances again rules out merely these possibilities. But the difficulty of discerning the doctored data also indicates more generally how difficult it can be to detect fraud in science. Even experienced specialists, let alone laymen or researchers from other fields, wouldn't have thought to look for these minute differences which are evident only in retrospect. To demonstrate the process, at one point in the report the committee actually depicts a mock manipulation protocol where bands are edited or appended to other bands from totally different experiments. The subtleties in the data make it clear that even in the future it would be relatively easy for researchers to get away with this kind of manipulation. What these cases point to is the need for automated systems ("counter-software", if you will) that could detect such fine anomalies in submitted Western blots or other presentations and try to separate artifacts from real red flags. In this case of course, the verdict is unanimous. At the end of the report, the committee finds unambiguous evidence of "unequivocal image manipulation, splicing, background erase and duplication" in a vast number of cases resulting in both data fabrication and falsification. The debacle is ending in ways that such unfortunate scenarios usually end. The university has already begun proceedings to fire Das from his position. It is very likely that he will never be able to do research again, and that's probably the way it should be given the extent of his fraud. Sadly, Das has not made things any easier by accusing university and department officials of racist prejudice. When you have to resort to such allegations in the face of massive evidence detailing your dishonesty, you only make your guilt seem more likely. Ultimately this episode speaks as much about the culture of scientific research as it does about the transgressions of a particular researcher. We may not know for some time why Das felt like committing fraud on such a massive scale, but I suspect that the high-profile nature of anti-aging research and the funding that such research commands may have had at least something to do with it. In the last few years, resveratrol, caloric restriction and sirtuins have made it into the public discourse about science like few other topics. The possibility of harnessing all this data to solve the ultimate mystery of aging has ensured both sensationalist news items and eager funding agencies wanting to enable the next breakthrough. When you work in such high-profile fields, it is more tempting to fabricate your results to snare more funding. In this particular case, Das's work was deemed to be low-impact and peripheral to the field and so the damage might be negligible, but in someone else's hands it could well be extensive. The case of Jan Schon immediately comes to mind. The other reason underlying Das's behavior might simply have been the complexities of biology. Das has been at the university since 1984 and got tenure in 1993, so it's curious why he decided to fabricate results in the last decade or so. I am quite ready to believe that his work on the complex effects of resveratrol on disease may have run into roadblocks, prompting him to start making up results that he wanted to see but which he didn't. Most research these days and especially biomedical research is a complex game. In some ways we are trying to bite off more than we can chew. In such cases wishful thinking can dominate, and when expected results don't pan out because of the complexity of the system under consideration, it becomes easier to succumb to desperation and temptation. The resveratrol story may fit into this paradigm, with initial reports suggesting a tantalizingly simple connection between the drugs and aging and more recent reports questioning this connection. Yet again, nature is not just more complex than we imagine, but it is more complex than we can imagine. The only remedy for avoiding such debacles may be more acute vigilance, self-policing and an honest willingness to accept failures. And some modesty before nature may be in order here. "There's one last big issue: Das appears to have had a business relationship with Longevinex, a well-known supplier of resveratrol supplements. I note that Bill Sardi, the managing partner of the firm that runs Longevinex, has showed up on this site in the comments section before, as have many fans of the product itself... ...And it's worth noting as well that Dr. Das had published work suggesting that Longevinex was superior to garden-variety resveratrol. That paper (and that journal) does not appear to be one of the ones named specifically in the fraud investigation."